I am a big fan of backed LevelUp. I use their iOS app several times a week at the eateries near my office here in San Francisco. I was first introduced to their iPhone app during one of their outreach campaigns in my neighborhood and, while I was skeptical at first, I now appreciate the ease and simplicity with which I can pay for my lunch with my Apple iPhone either at a food truck or a brick and mortar establishment . I’ve had a chance to interact with the LevelUp team and I find them to be very outgoing and very responsive to my ongoing requests to add additional retailers. 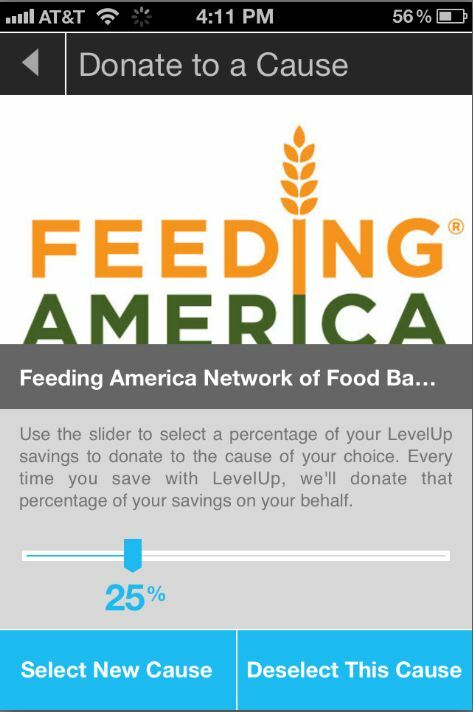 Last week, Mashable posted that LevelUp had introduced their Causes campaign so that users can help support charitable institutions such as Feed America and Amazon Watch. Users are now able to select a percentage of the award amount they receive once they spend a certain amount from within the app and that amount is then automatically channeled to the charity they select. They have a total of eight agencies registered and I am sure they are racing to add more since they have been getting a lot of press. I have already reached out to some of my associates are international aid organizations and encouraged them to register for the service and they seem interested. Another reason I like LevelUp is the ease with which they have integrated QR codes into their product. We have been working on building LevelUp into the web/mobile application that we are building for the aid community and when I came across LevelUp I knew I had found a kindred spirit. Google Ventures backed LevelUp has effectively implemented QR code technology and they beat Starbucks mobile app by a mile since it takes one tap to open LevelUp while it takes my Starbucks app three taps to reach the payment screen. In the app development world two taps can mean the difference between adoption and deletion. LevelUp also just announced NFC support. If you are a charitable institution and need to get a hold of the LevelUp team, you can email them at causes@thelevelup.com.